GLOBAL GIFT GALA MEXICO CITY 2017! The recent earthquakes in Mexico has left a trail a devastation affecting hundreds of families and communities. / Los recientes terremotos en México han dejado un rastro de devastación que afecta a cientos de familias y comunidades. The sheer destruction has left behind massive amounts of damage leaving a desperate need for emergency supplies, shelter, food & water./ La destrucción causada ha dejado grandes cantidades de daños, dejando una necesidad desesperada de suministros de emergencia, refugio, alimentos y agua. 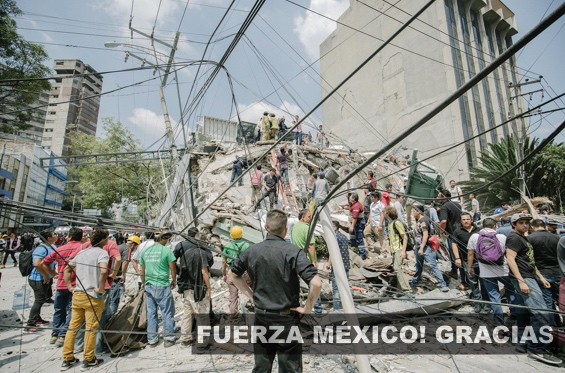 We are joining forces in an effort to show the incredible people of Mexico that we are here for them./ Estamos uniendo fuerzas en un esfuerzo por mostrar a la increíble gente de México que estamos aquí para ellos. Please join us on November 1 in Mexico City during The Global Gift Gala as we raise funds to help people rebuild their lives./ Únase a nosotros el 1 de noviembre en la Ciudad de México durante The Global Gift Gala donde recaudaremos fondos para ayudar a la gente a reconstruir sus vidas. An exclusive event of inimitable style, the Global Gift Gala in Mexico City will fuse celebrity and philanthropy to fundraise on an impressive scale. Eva Longoria Bastón, Maluma and distinguished guests will unite in an effort to raise funds and awareness for the benefiting foundations and show their dedication to humanity. A star-studded affair, the event includes a red carpet welcome and champagne reception, a five-course dinner, a thrilling live auction and remarkable performances from a world-renowned entertainer. Join Honorary Chairs Eva Longoria Bastón and Maluma on November 1, 2017 for The Global Gift Gala in Mexico City. This unique event is set to be an unforgettable star-studded experience. Get your tickets and support our goal of creating #BetterTomorrows!